Car hire in Moraira with child seats. We offer car hire with baby, child and booster seats from Moraira’s leading rentalcar companies in over 300 different destinations on Costa Blanca North, including Alicante Airport and Valencia Airport. Our car rental rates is all inclusive, unlimited mileage, no deposit, and necessary taxes and fees. Use the search form below to find cheap car hire in Moraira with baby seats or call +34 653 221 333. In Spain, the same EU-approved labelling applies but children must sit in a car seat until they are 135cm tall. Children with a height of 1,35 m or less must travel in the rear of the vehicle and use the appropriate child seat. There are three exceptions to this law, if the car is a two seater, if the back seats are already occupied with other children using their respective child seats, and if it is not possible to install all the seats required. 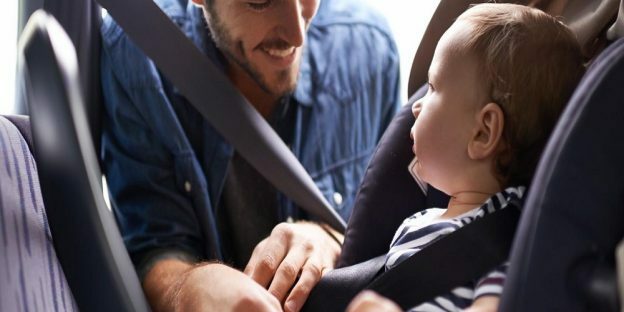 The Traffic Police authorities recommend the use of the appropriate child restraint applicable to a child’s weight and height until they reach 150cm. Over this height the vehicle seat belt must be used. When you’re choosing your car hire in Moraira, think practically about how much space you’ll need for car seats, as well as luggage and any other baby kit you’re taking. Look at how many doors the vehicle has and choose a car with four doors, as putting children in car seats is hard work in two-door models. If you’ve rented a car seat in Moraira or at the airports, first of all check that it is the seat you ordered and it works for your age of child. Give the seat a once-over before fitting it, checking the harnesses are adjustable and work properly, and making sure there’s no damage. If you’re unsure on how to fit it, ask a member of staff for advice. Heading to Moraira and need the cheapest rental car with child or baby seats? Millions of tourists each year rent a car at Alicante Airport and Valencia Airport, and in the high season it may sometimes be difficult to get the kind of car and child seats that you want. 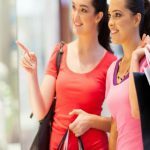 Then it is good to be aware of a few things when renting a cheap car in Moraira, so your holiday in Spain get as hassle-free as possible from the start to the end. If you need the cheapest rental car with child or baby seats for your stay in Moraira, it is easiest to book it for pickup when you arrive at Alicante airport, or Valencia Airport. Then you can easily return it when you return to your home country, and you do not need alternative transport to and from Alicante og Valencia Airport. In most cases, this is less expensive than using small local car hire companies in Moraira. Good tips about car rental in Moraira with child, baby or booster seats. 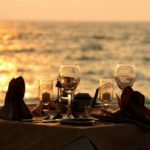 They will help you to find a car hire in Moraira, and ensure that everything runs smoothly, and you can focus on enjoying your holiday. Read: 15 tips for affordable car hire in Moraira. 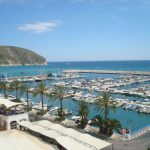 Rent a car in Moraira with child seats online – In most cases it is much cheaper to book a car with child seats online, than wait to hire a car when you have landed at Alicante or Valencia Airport. If you wait to the last minute, prices will be higher, less cars to choose from, and you may have to settle for a rental car that does not fit you and your family on your holiday. 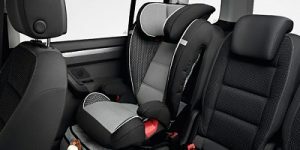 Book your car with child seats early – As with airplane tickets it is advisable to book your car hire with child seats in Moraira as soon as possible. A good rule is to book a car when you know when you are flying to Alicante or Valencia. If you book your car early on internet you will save a lot compared to if you wait until closely to departure. 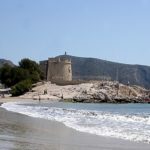 During holidays and festivals this is particularly important because of the lack of rental cars in Moraira. Do not forget the size of your luggage – Many believe that the cheapest rental cars with child seats are the smallest, and this is also the car type that is ordered most of. What many do not consider is that the whole family should sit comfortably, and in addition to that it should be plenty of space for luggage. Choose a midsize car with more space. Surprisingly enough, it could be at least as cheap as a small car. Be prepared and save time – Make sure you bring a copy of your order on car hire with child seats in Moraira, reservation number, driver’s license, passport and credit card. Car companies have high demand and very often you can experience a big queue. Do you have this ready when it’s your turn, you will save time. Check your car and child seats when you pick it up – This is an important. Even when you are in a hurry or feel tired, it is worth taking the time to check the car and child seats carefully. You are responsible for the damage to the car. Make sure all scratches and dents are mentioned in the contract. Otherwise, they may try to charge you for damage done by the previous tenant. Same goes for the interior. Use your mobile to make a video and take pictures around the vehicle. Then you have evidence of what condition the car was when you got it. 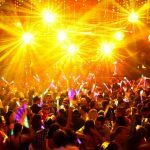 This entry was posted in Car hire Moraira and tagged baby seats, booster seats, car hire, child seats, moraira on April 17, 2019 by webmaster.